There are many technical indicators. And there are many interpretations of each indicator’s signal. Some stock investors and traders use particular favorite indicators and insist on own interpretation. Who is right? 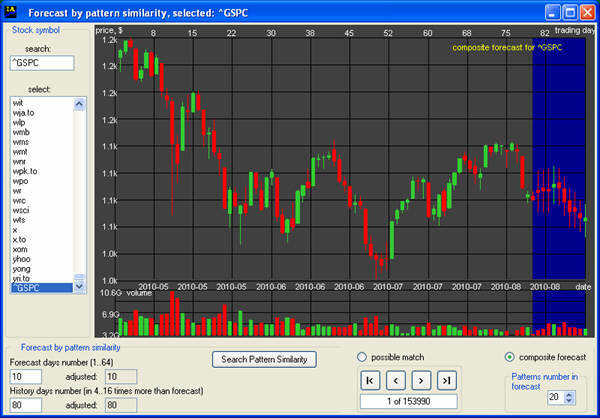 What if to allow a computer program to decide using back-testing which indicator should be trusted more and another less for particular market conditions and a specific stock? 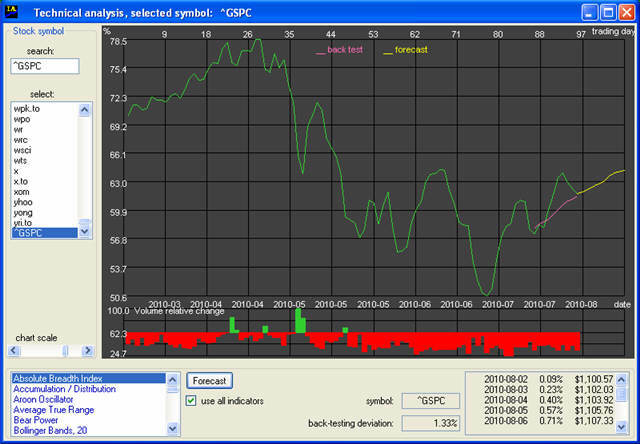 One of computer programs that enables to compose the forecast with weights accordingly to predictive ability of each technical indicator is Investment Analyzer InvAn-4. 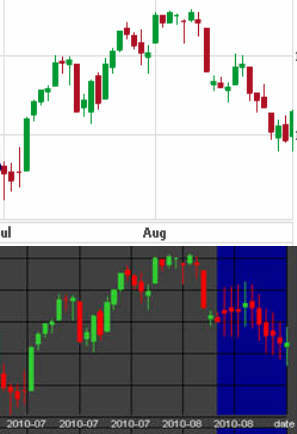 It performs a short-term (10 trading days) forecast using Neural Network. The chart below shows an example of such forecast. It is S&P-500 forecast for the first two weeks of August, 2010.